Get in touch with us today and experience a move that comes without the headaches, the problems and the sheer exhaustion that’s commonly associated with moving house. Because we’ve been moving people every day for seventy years, there’s nothing we don’t know about it, including how to scotch problems before they even occur. 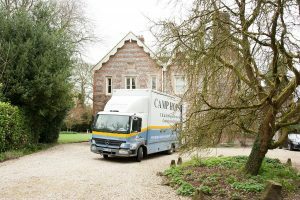 And since we’re incredibly familiar with the the area, we’re a removals company in Newbury that can get you into your new home and fully settled on the same day. If you need additional services, just ask – we have a first-rate packing team who can get everything you own wrapped up in record time and safely loaded into vehicles. They know how to handle fragile and complicated items, including furniture that might need dismantling and then reassembling. Whatever the requirement, we’ve got a solution that fits. We’re proud of the service we offer and we think you’ll notice the difference from the moment you place a call with us to get the ball rolling. One of our estimators will pay you a visit to take down all the details of your move and then prepare a clear and accurate quotation. Our years of experience have left us with a distinct edge when it comes to organising and planning a move and we’ll supply you with a checklist so that nothing gets overlooked or missed out. Not all the removal companies in Newbury offer storage, but we do. Our facilities are suitable for any and every requirement. Whether you need lots of space or just a little, long- or short-term, we’ve got it. Storage in Newbury isn’t always so accommodating. When moving day arrives, just sit back and you’ll see to your relief just how much care we take as we go through all the tasks methodically and efficiently. We’ll take that extra bit of trouble to ensure your carpets, walls and banisters come to no harm and we’ll use specialist crates to contain items like chandeliers, artworks and mirrors. We’re a BAR-(British Association of Removers) accredited removals company, obliging us to keep to high standards, which we are only too delighted to maintain and even exceed.